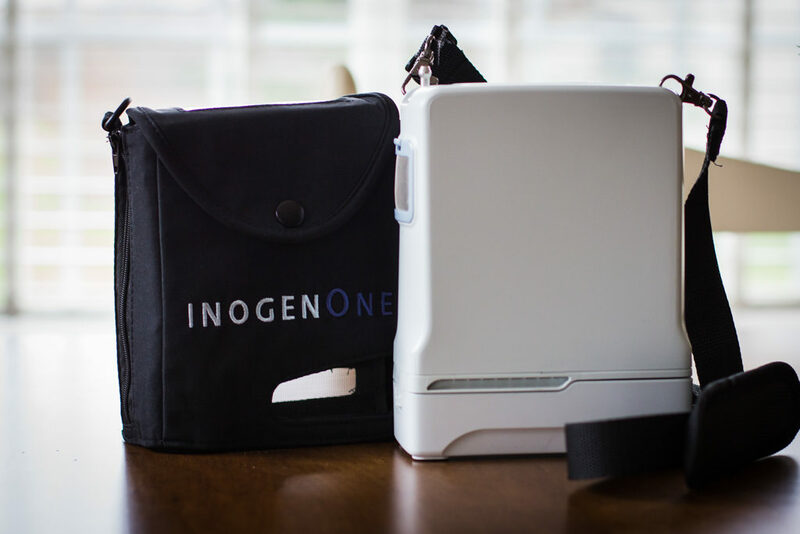 The Inogen One G4 is the latest edition to the Inogen family of portable oxygen concentrators. With an ever-increasing demand for small and lightweight portable oxygen, Inogen is rising to the challenge with its newest offering. The Inogen One G4 weighs an impressively light 2.8 pounds with the single battery and fits in the palm of your hand. The Inogen One G4 comes standard with the G4 concentrator in a thin, serviceable carry cover to protect the unit from scratches, AC and DC adapters for home and car, and one (1) rechargeable battery. The G4 offers two battery options – the Single battery provides up to 2.7 hours on setting 1 and keeps the overall weight at 2.8 pounds while the Double battery provides up to 5 hours on setting 1 and increases the overall weight to more than 3.5 pounds. Most retailers will provide additional batteries at a discounted price when you add them to the purchase of your Inogen One G4. An optional accessory is a desktop battery charger and I hear a hip bag is also in the works. The Inogen One G4 is a pulse only unit and provides up to setting 3. I was unable to find any information about the actual oxygen output. The fact that Inogen does not make this information readily available concerns me because I have stressed that pulse flow settings are arbitrary numbers set by the manufacturers and there is no industry standard, which means that a setting 2 on one portable concentrator may provide a different amount of oxygen per breath than a setting 2 from another model. Thus, while the small size and weight of the Inogen One G4 may be very attractive, don’t ignore or sacrifice the oxygen you need. For current Inogen One G3 users considering making a change to the G4, please note you are making only a size and weight improvement. You would sacrifice several pulse flow settings and possibly oxygen output at the same setting you use on the G3 so be sure to try a G4 before making the financial commitment. Also, note the reduced battery times – about half the time of the Inogen One G3 Single and Double batteries. Active users may find the size more appealing, but will also need more batteries to keep up with their activity. The last notable difference is the carry bag. Inogen provides the unit with the shoulder strap connected directly to the unit itself, so the carry bag is not really a bag at all but more like a protective sleeve. Unlike the G3 carry bag that loads the unit from the bottom while providing easy access for changing the battery, the G4 carry bag/sleeve loads the unit from the top, so you have to remove the unit from the bag/sleeve in order to change the battery. Because of the small size, this will not be a great concern to most, but something to keep in mind. Similar to the G3, the G4 has replaceable sieve columns that are warrantied for one year and will need replacing about every 15-18 months depending on use and climate. Carry Bag – As I mentioned above, the carry bag is more like a protective sleeve. It has a side zipper and flap at the top that closes with a snap. The bag fits so snugly around the unit that I found it difficult to fasten the snap. Some people may even have trouble with the zipper due to the snug fit. Also, given the frequency with which the unit will have to be removed from the bag for battery changing, I am concerned the snap may pull away from the fabric over time. All-in-all, I am impressed with the Inogen One G4. 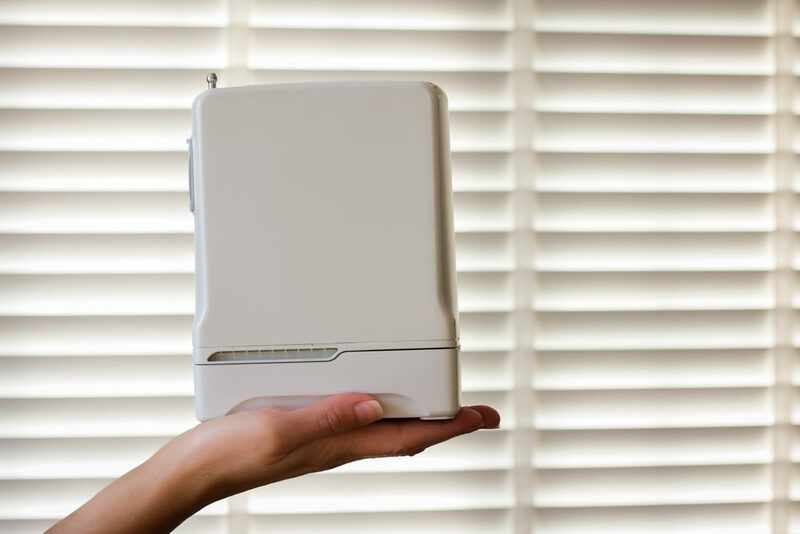 With its small size and light weight, it offers the greatest portability of all portable oxygen concentrators. For most, greater portability means more freedom to be active – and that’s the goal! The G4 is a great option for oxygen users who need only low oxygen settings. If you need more than setting 2, consider the more powerful Inogen One G3. We appreciate this fair and positive review! I wanted to reassure you and your readers that the volume of oxygen provided at each setting is exactly the same as with our other pulse dose products: 210 ml/minute on Setting 1, 420 ml/minute on Setting 2, and 630 ml/minute on Setting 3. In fact, the Inogen One G4 provides the most output per pound of equipment of any POC on the market today! The new Inogen One G4 exemplifies our commitment to providing freedom and independence for oxygen users. Wish it was continuous flow, it would be an automatic purchase. My Mother needs the continuous flow. Tammy, The G4 has Intelligent Delivery, which means it syncs with your breathing. So it only delivers O2 when you are taking a breath. This has improved battery life and has helped patients become better familiar with irregular breathing patterns. As a provider, (with some bias) of 20+ years ; the jump to dump cylinders with alternative dose devices to me is often premature without appropriate evaluation. We do provide POC devices, there is a place for them, they are not a ‘one size fits all device that the market pressure seems to promote. The INOGEN Sales group I’ve had contact with is “VERY AGGRESSIVE” in speaking with one of our ‘ventilator’ patients, assured that person that the unit would meet 24 hour requirements which is simply not the case. His night time flows being 5 liters continuous flow. His day time flows variable due to severe heart condition. You have a impossible task to compare pulse units with the information available but THANKS you do very well giving us help to decide! In fact pulse flow setting means absolutely nothing with out details to calculate t e oxygen delivered & even that is not easy. Also in your link to your general explanation the “conserving ratio” for a generator is an arbitrary number chosen by the company and means nothing too. It’s a false number used to describe savings. I don’t understand your table. With the same unit a CR of 6 will actually give you an oxygen # delivered that will be twice the same number if the oxygen CR had been called 3. In other words 6 vs 3 claims to double the oxygen generated but it’s exactly the same. Scale CR #s 4 & 5 similarly. One other comment: Breaths per minute for continuous flow cylinders or generator means nothing as far a oxygen inhaled compared to the flow setting. The amount inhaled is the time inhaling divided by the sum of (inhale & exhale time). In other words if your breathing hard & inhale for the same amount of time as you exhale you will, receive 1/2 half the continuous flow. If you are relaxed and inhale for1/3 the time you exhale you will receive 1/4 the continuous flow. This ratio is a way to determine *actual* consecration ratio for pulses settings. I am interested in finding out information on portable oxygen contrntrators. I use an inhouse concentrator now and a portable bag cocentrator with cylinders when venturing out. I am looking for a small light weight one that last longer than 4 hours and can be charged n the vehicle. My oxygen level usually runns on a #2. Alson what the cost would be and whether Medicare and Blue Cross insurance would pay for the equipment. Thank you for any information available you can send my way. The Inogen One G4 that were you looking at above is probably a good option for you. I do not sell equipment so I cannot assist you with information on costs. I can tell you that only local homecare providers in your geographic area can bill Medicare for you and most do not offer a POC for your Medicare benefit because they simply don’t receive enough reimbursement from Medicare (they receive the same amount for a POC as an oxygen tank). Most people who get a POC end up purchasing a unit out-of-pocket. That’s great, Glenna. I don’t sell products – I only share information about them. One company that you may find helpful is OxiMedical.com. From what I understand, if you require 2 liters of direct flow oxygen, you would need 4 litres on a pulse delivery system. So, the G 4 is only good for people who are on 1.5 liters or less (on direct flow). I was so excited when I saw the size and heard how quiet the motor was. But when I tried to use it, I found my stats remained below 90 no matter what. I traded it in for the G3. Which has it’s own problems if you require a high level of oxygen flow. Is there any portable oxygen delivery system that provides a higher flow? The Inogen One G2 delivers up to pulse setting 6. At the 10-pound weight, there is the Philips SimplyGo and the GCE Zen-O, which pulse deliver up to pulse 6 and continuous flow up to 2 LPM. The SeQual Eclipse 5 and SeQual eQuinox deliver up to pulse setting 9 and continuous up to 3 LPM, but these units are much larger. Unfortunately, you won’t find a small (5 pounds or less) unit that provides higher flow settings. Aren’t the methods for delivering the O2 on the POC’s somewhat different due to their technology for delivering or accomplishing that burst of O2? For example, between the ActiVox 4L and the Inogen G4 on a setting of 2, would the Inogen G4 provide more O2 due to the way it senses or delivers it vs. the ActiVox 4L at a setting of 2? Sensor and delivery would be more subjective to the patient’s inhalation patterns and I cannot say which unit has the better delivery technology. However, the Inogen One G4 provides more oxygen at each flow setting that the Activox 4L, so it would provide more oxygen at setting 2 regardless of delivery technology. I love my G4 (2.8#, settings 1-3), but can’t use it when I’m having an exacerbation. The G4 bolus size is only 7 while the Simplygo Mini (5#, settings 1-5) has bolus of 11. Inogen apparently has a brand new G5, sized between my 2 current POCs, with (they say) double battery life, but as usual they are holding the bolus size tightly. Doubt I’ll invest in this one (not enuf size/weight difference yet) but can you obtain this bolus information? Thanks! To compare, the SimplyGo Mini has a maximum flow setting of 1000 mL/minute at setting 5, so the new Inogen One G5 will provide more oxygen. Trying to find out if the inogen 3 will work on the DC charge in a 4 cylinder car.. please help. The Inogen One G3 is a small unit and does not draw excessive power. I have heard of no issues with it working in a 4-cylinder car. Thank you for a very informative article. You answered several questions that were in my mind. Personally, I’m leaning towards the G3. I think you get the best of what they have to offer with it. Keep up the good work! I have an Inogen one G4 and already had to return the first one and now the second one is doing the same thing. I keep getting a Low Oxygen warning when I have been on it for 20 minutes or so, the same problem as the first. Also was getting an Oxygen Error Alarm on the first one. Have you heard of that happening very much with other G4’s? This is the first time I’ve heard this issue. Thank you for sharing your experience with the G4. My mom has G4 and We have dealt with it overheating. We called Inogen about and requested a new one after spending so much money on this and they offered a recalibrate replacement. I told them that was unacceptable due to the out of pocket cost. The rep assured me it would a new replacement. Long story long… It is still doing the same thing and I again called about it and am currently awaiting a call back from a supervisor. That was a week ago. And their new floor concentrator which is very small is not as good as the ever flow we received from them and will be returning that. The G3 however is tried and true. Has anybody else dealt with the G4 overheating ?? My Mom’s overheated the first time she used it, but the carrying case did not fit properly and partially covered the exhaust – we had to order another carrying case. However, my 88 yr old mom cannot put the case on and off to charge – it’s too difficult for her; hence the carrying case is useless. My G4 charges thru the carrying case – doesn’t she have the direct plug-in? The carry case mine came with has a cut-out on both sides so whichever way you put the case on the plug fits without removing the case. I envision her using the battery charger when she should also have just a cord? Yes, my G4 also heats too much but I try to always give it space and turn it down a notch when I’m completely resting (I keep my pulse-ox very handy!) I think to keep the noise down, they skimped on the fan as some computer makers did. In another year or so my G4 won’t be adequate for me anymore but meanwhile I love the light weight & small size. Too bad Inogen isn’t giving the G4 more oomph – a bigger bolus in this machine would enslave me! When using the G4, I think it is best to carry it in a bag for an hour or so cos the machine kinda overheat by then and perhaps take it out of the carrying bag and place it beside on the table or chair if you need to use it for a longer period of time. Yes, there is a double battery available for the G4. Inogen does not make a 16-cell battery for the Inogen One G4; they have only the 4-cell Single Battery or the 8-cell Double Battery. I have 3 double & 1 single (Amazon, Inogen, Oximedical to name a few sources) so I’m pretty sure you’re wrong. Your G4 double batteries are 8-cell and the single battery is 4-cell. Inogen does not make a 16-cell double battery for the G4. I helped my mom purchase the new G4 and it overheated 6 times in the car while on a road trip. We let it cool off in the hotel and tried it again and it overheated again and again. She uses the 3 setting. We had good ventilation so we called Inogen and they are sending us a brand new one today. Will let you guys know how the new one works. You may wish to ask your doctor for more detailed information as to the decision he has given. For instance, if your need for oxygen only while sleeping is related to sleep apnea, then he may be correct in determining that you would not need oxygen while you were flying fully awake. I hope you understand that I am unable to provide medical advice, I can only provide information about oxygen equipment. Thus, I can tell you that if you wish to take a POC for use while in flight, the airlines require a signed Physician’s Statement from your doctor, and they will assume you will need it for the entire flight and require you to have sufficient battery power to last 150% the flight duration (i.e., a 4-hour flight would require 6 hours of battery time). I also noticed you left your comment on my product review of the Inogen One G4. Please note this unit provides a pulse flow only rather than continuous flow which most doctors recommend for sleeping. 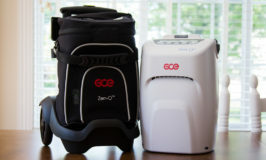 A model that has a continuous flow option, such as the GCE Zen-O, would be better for your travels and may be necessary if your doctor has prescribed continuous flow oxygen. I an kooking for a unit what I can take with me on walks and possibly on vacations. Can you provide? Unfortunately, I only provide information about portable oxygen concentrators; I don’t sell equipment. One company I recommend is OxiMedical.com. I am on number 2 onygen level what Tak would I need? Is it non fllamable? I only weigh 85 pounds so the 5 pound take are heavy for me is it possible my medicare or Coventry insurance would pay for this. Do you have to buy any more than the e portable tank? I am on home oygen that sounds very similar to what you have. If you use an oxygen conserver on your tank at setting 2 then the Inogen One G4 would probably work well for you. It is the lightest POC available and can be carried around your waist to eliminate weight from your back and shoulders. The oxygen coming out of the G4 would be flammable and there are warnings not to use the unit near an open flame; however, it is not explosive like a tank filled with oxygen would be and is therefore approved for use on airplanes. Only local homecare companies handle Medicare billing and very few provide portable oxygen concentrators. 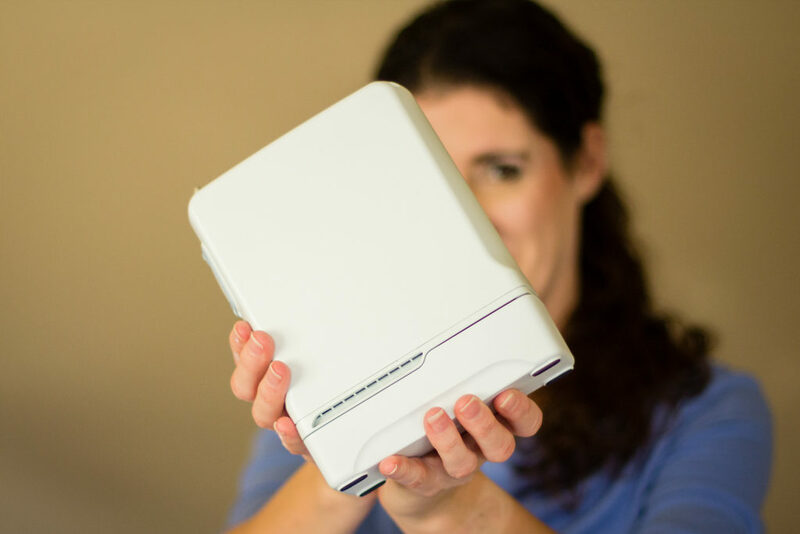 OxiMedical has a great article that explains Medicare benefits as they relate to portable concentrators. Very briefly, you wrote that oxygen is “flammable”. That’s not correct. Oxygen doesn’t burn like other gasses such as hydrogen, but it does promote burning. That is, if a continuous flow concentrator happened to be positioned near a burning candle, the candle flame would increase dramatically in height and width, and could set a flammable lampshade or nearby draperies afire, but the oxygen itself wouldn’t be burning. This isn’t meant to demean the dangers of using oxygen near an open flame. That’s very dangerous! The easy answer is that in the presence of oxygen, small flames can become big ones in a hurry! Thank you for your comment and for providing accuracy to my comment. I appreciate your explanation and will be careful to be more clear in the future. The commercial for the Inogen One G4 should be removed from TV because it is very misleading. They make it look like everyone on Oxygen can use this machine. The lady dragging the tank from her car is obviously on a much higher flow ( possibly on continuous flow ) or she would be one using a small tank which is probably as light as the Inogen. My wife was on Oxygen ( continuous flow ) for several years and I hauled a lot of tanks for her, we kept a large tank strapped in the rear seat and she used smaller lighter tanks when out of the car. On a normal shopping or doctor visit, we might use two or three small tanks. As a Registered Respiratory Therapist, and as many have already stated on this blog I would like to point out , this is Pulse Oxygen Delivery not Continuous Flow to two do no correlate. But what I have not seen stated here, is that the POC (Portable Oxygen Concentrators) do not deliver 98% + oxygen! They typically deliver between 88-92% so that will make it even harder for someone to go from a tank with 100% oxygen to a POC and meet their needs. POCs are good for people that only need very low flow rates of 100% oxygen. I just received my new G4. This is my first POC. What surprised me was in addition to the humming sound which is ok with me, it has this popping sound (almost like a gun shot) every few seconds. Has any one have such experiences with this popping/clicking sound ? Any POC that does not have such sound ? A popping sound is normal, but if it sounds like a gunshot that would be abnormal and you would have to wear hearing protection (like shooters wear at firing ranges) to use it. Are you maybe exaggerating the volume of the popping sound a little? Before going through the trouble of sending the unit to the U.S. you may want to change the columns. If you can find a place to purchase the columns or a relative in the U.S. who can ship them to you, you can change them on your own. According to the owner’s manual, a system error means the concentrator has stopped producing oxygen and is shutting down. Unfortunately, I do not have information as to the actual problem, but it will need to be sent in for service. My G4 showed “system error” today for the first time. I had started it up in my car and then walked into a grocery store and put the G4 into a shopping cart. I’m not gentle with POCs (I guess I should be) and while I didn’t throw it into the cart, I more or less dropped it in from a height of maybe 3 – 5 inches. It immediately fell over onto its side and beeped and displayed “system error.” I turned it off, waited a few seconds and then turned it back on. Immediate “system error.” So I did my shopping without it and came home. About 2 hours later I turned it on and it worked. I turned it off and removed the battery for 10 minutes, then put the battery back in and turned it on. Again is worked fine and is still working. 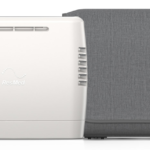 I would try disconnecting the wall power and removing the battery for 10 – 20 minutes, then put the battery back (and connect wall power if you want) and see if your problem goes away. I also have a G2 that started beeping like crazy in the middle of an airport and quit putting out O2. Disconnecting power and removing the battery for a few minutes brought it back to life (thank goodness!). UPDATE: My G4 continues to show “system error” so I called Inogen tech support. Their instructions: (1) turn it off. (2) Disconnect the power adapter. (3) Remove the battery. (4) Connect the power adapter (wall current). (5) Turn the G4 back on and let it run with no battery. They didn’t say exactly how long to let it run. I am on step (5) now and after 25 minutes I have not received an error. I’m going to let it run for a few hours like this, then turn it off, disconnect the power adapter, put the battery in and start it again. Inogen says this may solve the problem. If it does not solve the problem, I will have to send the G4 to Inogen for repair. I bought my G4 from an estate so I have no warranty. If I do have to send it to Inogen, I was told to expect it to take about a month with a charge of about $300. If I need a substitute POC for that month I have to rent one from someone at my expense. So I’m hoping that steps (1) thru (5) do the trick! My wife just purchased the Inogen G4 for use while traveling. Nice that it came with a car power outlet adapter so we don’t have to use the battery while in the car. HOWEVER: The machine requires a 15 amp power outlet. We have two new cars (Lexus & Toyota),. Both will only supply 10 amps to the power outlet. I researched (Google) for max amps in car power outlets and what I found is they are all rated between 10 and 14 amps. I contacted Inogen and they said “some” cars supply 15 amps but could not tell me which ones. Even the battery charger from Inogen requires 12 amps. I think it is false advertising to suggest they could be plugged into a car power outlet. Other that that she is happy with the unit. Don’t know what my Mazda 3’s battery puts out but I use the car charger about 1-1.5 hours EVERY DAY on my G4 or the larger simply go mini and have absolutely no problem for 2 years.